The European Union has set a series of conditions on its plans to continue negotiations with the U.S. regarding a potential free-trade deal. These include the removal of section 232 duties on steel (at a rate of 25%) and aluminum (10%) as well as exemption from planned duties on the automotive sector. Indeed, the Commission reportedly already has plans for retaliatory duties should the U.S. apply automotive duties, Euractiv reports. The EU has also reiterated that the agriculture sector should not be included in talks. As outlined in Panjiva’s research of Jan. 2 talks with the EU are still at a very preliminary stage despite having been initiated at a meeting between President Donald Trump and EC President Jean Claude Juncker in July 2018. Indeed, forthcoming EU parliamentary elections – and subsequent reformation of the European Commission – alongside complications from Brexit may mean talks struggle to make substantial progress until 4Q 2019. 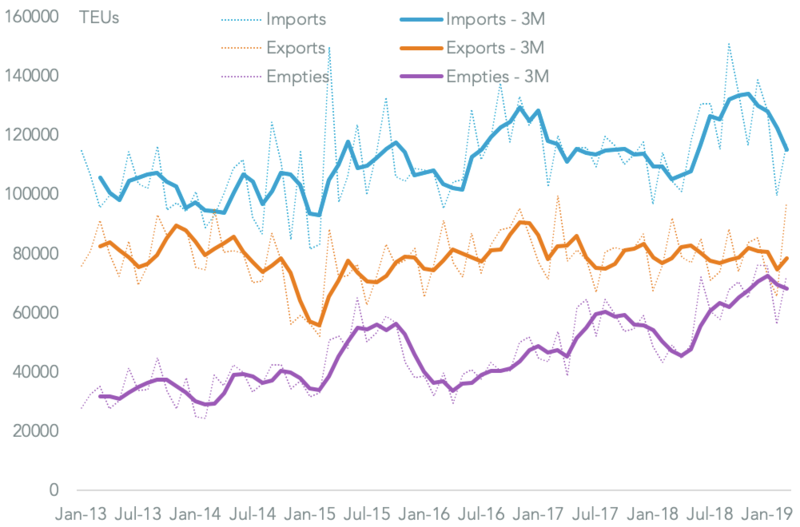 Panjiva data shows that the argument over metals may be missing the point – bilateral trade in steel and aluminum was worth $18.1 billion in the 12 months to Oct. 31, or 1.7% of the $797.7 billion of trade between the two countries. The U.S. may also be unwilling to cede ground given it would face similar demands from Japan for their ongoing trade talks and is already facing pressure from Canada to cut tariffs as part of the USMCA accession process. 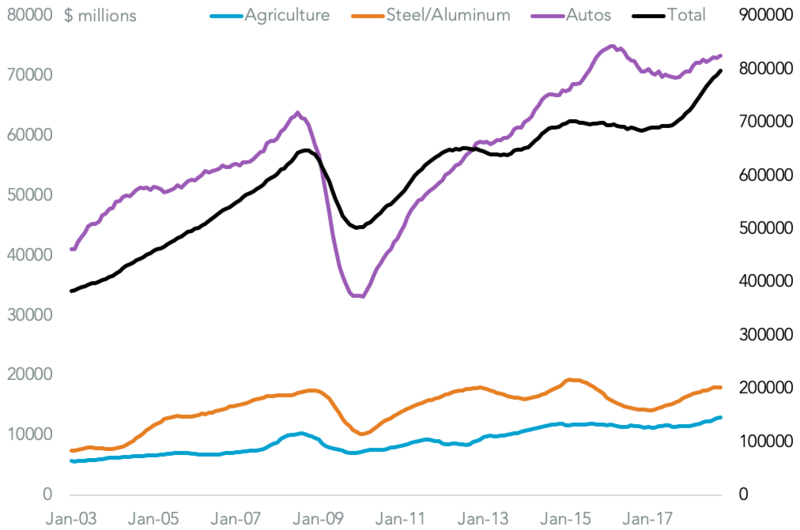 Autos are more substantive – they represent 9.2% of total trade between the two countries. 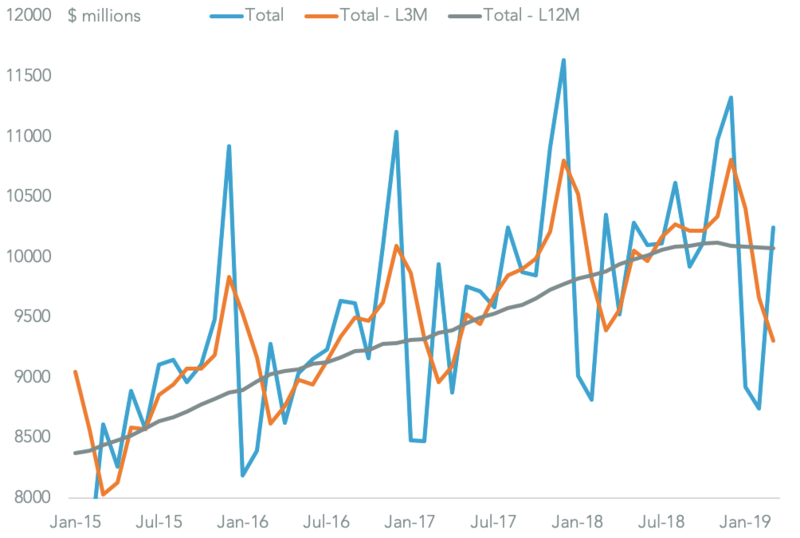 The desire from the U.S. side to include agriculture makes sense given it already has a $4.0 billion surplus in agricultural trade and saw 15.6% growth in exports in the 12 months to Oct. 31 vs. a year earlier as a result of increased EU soybean purchases. 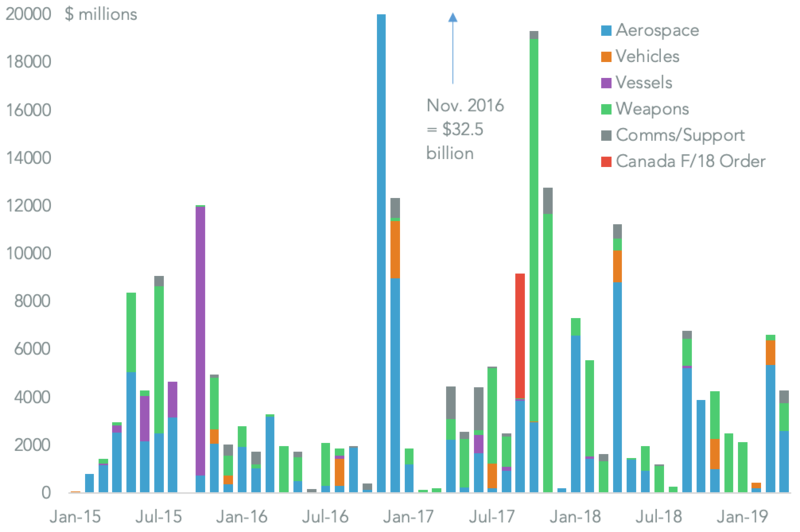 A cessation of tariffs on metals – and for that matter autos – would be a necessary part of a trade deal in any event assuming it is designed to primarily be a tariff-related deal. 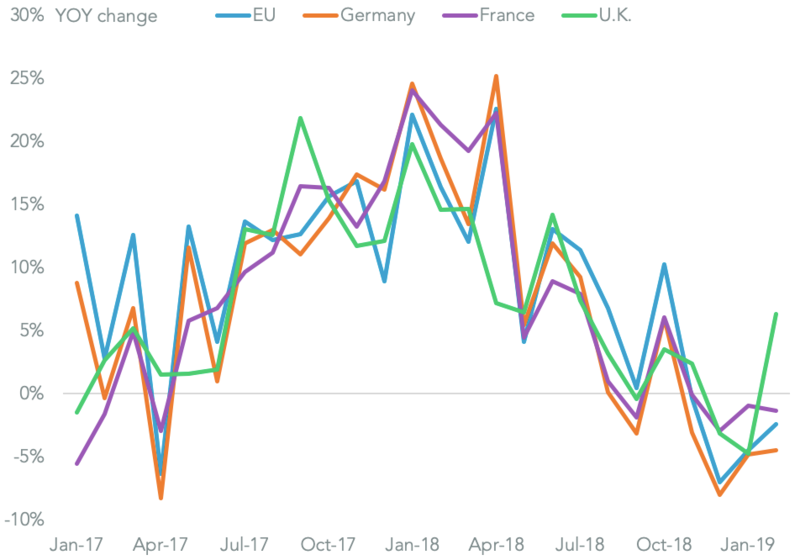 In the meantime EU exporters have already cut the shipments to the U.S. as a result of tariffs. 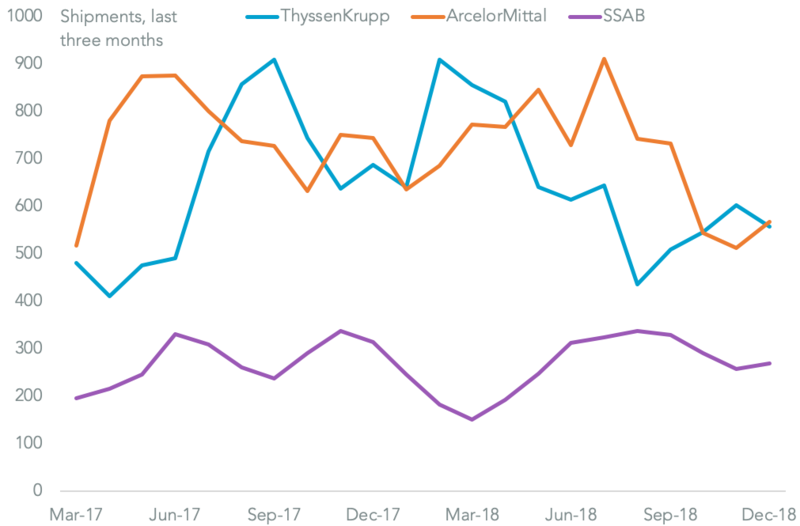 Among the major exporters ArcelorMittal cut its shipments by 23.8% in 4Q 2018 compared to a year earlier, ThyssenKrupp reduced exports by 18.8% and SSAB by 14.3%. Should the tariffs be removed selectively for EU producers they could gain the most as shipments normalize.